Preventive dentistry is an approach to caring for the teeth that focuses on maintaining good oral health to prevent dental problems down the road. Seeing a dentist only when you have tooth pain can lead to more serious problems. Preventive dentistry advocates for seeing a dentist regularly, which keeps teeth and gums healthier and gives the dentist an opportunity to identify potential problems early on before they progress. At Carey & Aylward, Dr. Dennis Aylward, Dr. Brent Carey, and Dr. Allison Carey are your Westland, MI, dentists for preventive dentistry. Preventive dentistry promotes scheduling regular dental visits to keep your teeth and gums their healthiest. Regular visits to your Westland, MI, dentist help prevent serious oral health problems from developing. Preventive dentistry procedures include oral exams, x-rays, and cleanings for children and adults, as well as topical fluoride treatments and dental sealants for youth. 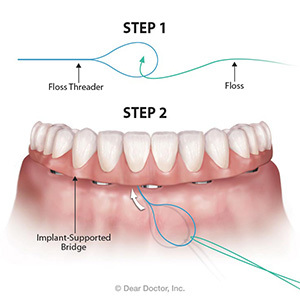 Each of these procedures helps keep teeth free from plaque and tartar buildup, which can lead to gum disease and tooth loss. Preventive dentistry improves oral health, and can potentially help with early detection of certain diseases. Dental professionals have the tools and experience to provide a more thorough cleaning than can be achieved at home simply brushing and flossing daily. 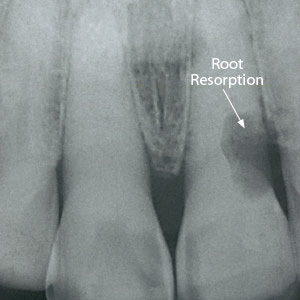 For instance, tartar buildup cannot be removed with regular brushing or flossing. It can only be removed by a dental professional. Visiting a dentist’s office twice per year for an oral exam and professional cleaning can prevent serious oral health concerns, such as gum disease, tooth decay, or even tooth loss. In addition to improving oral health, another benefit of preventive dentistry is the early detection of certain diseases. Some diseases display warning signs in the mouth, which your dentist can identify so you can see the appropriate specialist. For instance, loss of bone in the jaw area is a sign of osteoporosis. Other conditions and diseases that demonstrate early warning signs in the mouth include heart disease, pancreatic cancer, diabetes, and kidney disease. Preventive dentistry procedures, such as oral exams, cleanings, and x-rays, all keep your teeth as healthy as possible. To schedule your next preventive dental appointment with Dr. Aylward or either of the Dr. Careys, contact Carey & Aylward in Westland, MI, at (734) 425-9130.